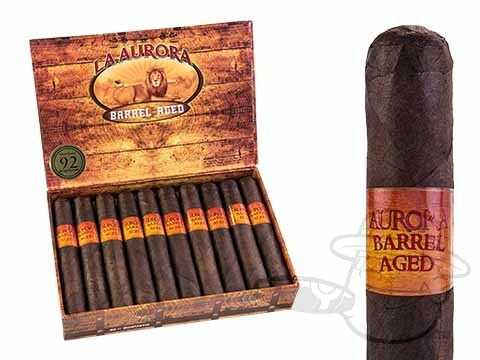 Crafted by blend king Manuel Inoa, La Aurora Barrel Aged is rich with toasty, woody character you just don't get from other cigars. 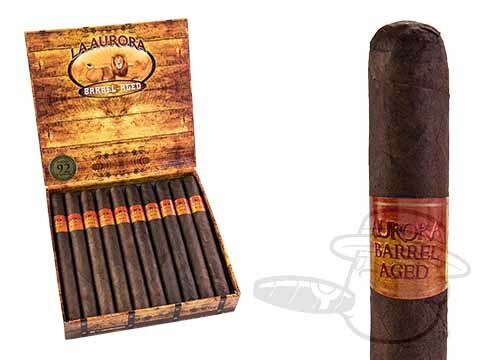 In the La Aurora Barrel Aged cigar, a mellow marriage of Dominican and Nicaraguan long fillers are nestled precisely beneath an extra-fermented Corojo wrapper, but exactly how do they achieve their special combination of sweetness, spice, and smoky taste? All of the tobaccos used in the blend, including wrapper leaves, are aged in oak rum barrels for four years prior to rolling. Now that's smooth. Grab your batch now.